Among The Bay Area music scene, is a serious hip-hop contender by the name of YOGY – (You Only Got Yourself). His poetic lyrics with a delivery that is emotionally driven, filled with deep and punchy metaphors, captures the very essence of what makes the Bay Area talent original and special. 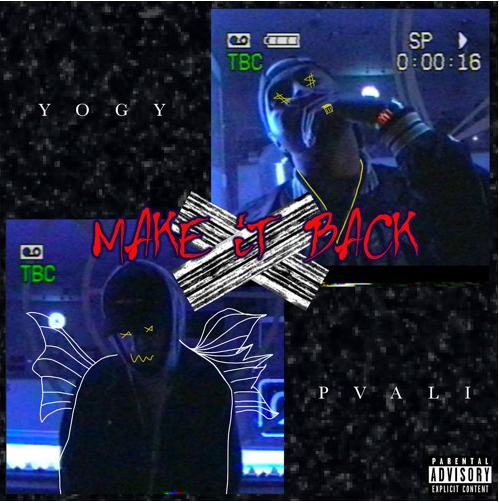 YOGY raises the bar by teaming up with producer Pvali through a new sizzling hot track, ‘Make It Back,’ with a head-rolling bass that instantly hits the spot. In the past, this Oakland-based upriser has produced music with and performed alongside acts such as Waka Flocka, Freeway, Royce da 5’9, Trae da Truth, Slim from 112, Too $hort and The Team. His street poetry has generated placements and praise from networks and blogs across the world including, MTV, BET, Music Choice, VH1, WorldStar, Vibe and Hotnewhiphop.